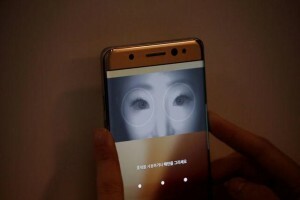 Samsung is preparing to announce a massive and global recall of its brand new Galaxy Note 7 smartphone, according to South Korea's Yonhap News Agency. The Korea Heraldalso reported earlier that Samsung is "considering" a recall. The drastic and unprecedented step would be a direct result of Samsung's ongoing investigation into reports that the Note 7's battery has exploded while charging, and Samsung could announce a recall as soon as this coming weekend. Just yesterday, it was reported that Samsung had decided to delay Note 7 shipments while investigating the claims, and it would appear that the company might've found a serious cause for concern. This has yet to be officially confirmed, but The Verge has reached out to Samsung and all major US mobile operators for comment. Yonhap claims that Samsung is currently in discussions with carriers that have already launched the Note 7 — Verizon Wireless is mentioned by name — about how the recall process will be handled. The company has also reportedly ordered UK carriers to halt the Note 7's planned launch in that region next week. "Results of the investigation and relevant countermeasures will be made public this weekend or early next week at the latest," the official said, speaking on condition of anonymity. This unnamed Samsung official told Yonhap that the battery issue impacts less than 0.1 percent of Note 7 devices sold thus far, but clearly the company is unwilling to take chances.